This is our best selling Mate – adding a bit of Caramel to the Roasted Tea softens the rich flavor and making it a tinge sweet…great for first time mate drinkers. Yerba Mate is not a part of the standard Camellia Sinensis plant but from a holly plant called the Ilex Paraguariensis plant that is indigenous to South America. Yerba Mate comes in two versions – Green (non roasted) Yerba Mate or Dark (Roasted) Yerba Mate, both coming from the same plant but different types of processing. Our Roasted Yerba Mate is a medicinal herb that share many common health attributes to the tea plant. Plus it has a dark and rich flavor that is similar to coffee. For many coffee lovers this is a great tea to transition to without all the stomach and caffeine concerns. In this blend we added Caramel with Marigold to give it a softness that pairs well with milk. 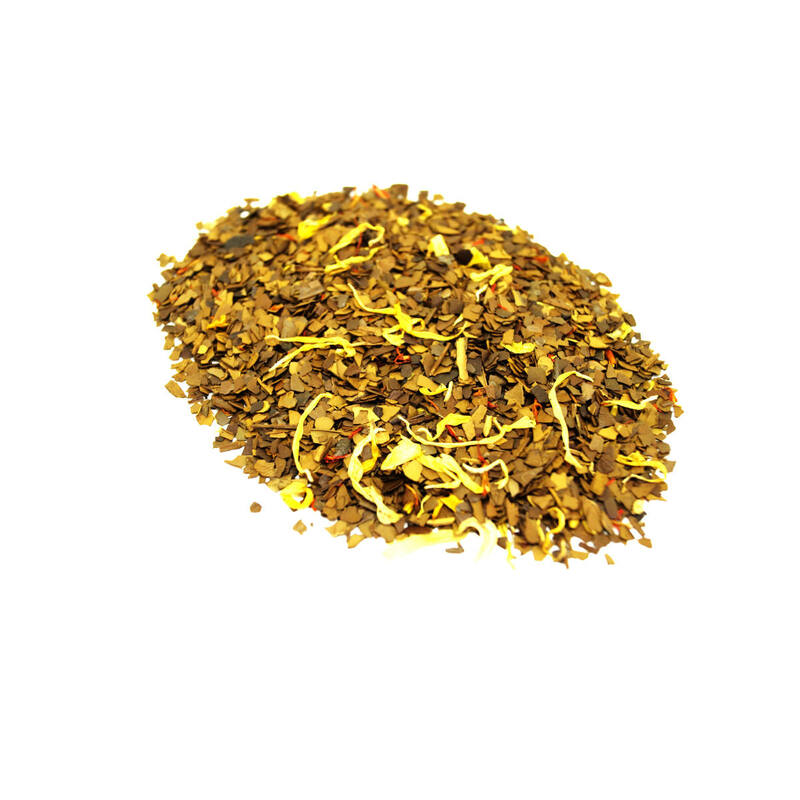 Ingredients: Organic and Wildcrafted Roasted Yerba Mate from Uruguay, Caramel Bits and Marigold Flowers. Alternatively, try our Java Jitters Yerba Mate or Vanilla Caramel Black Tea.